The Department of Botany provides several resources for our members to reserve. 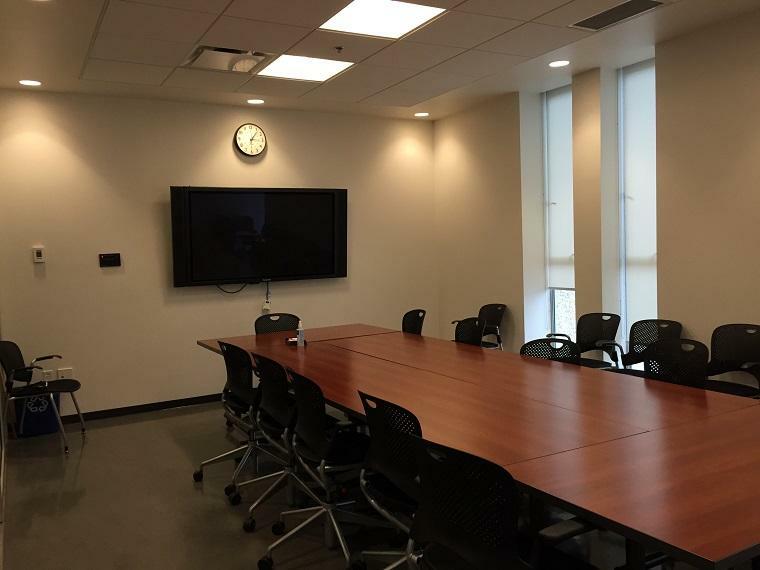 To book meeting rooms, vehicles, or equipment, please visit the Botany internal website. *Note that you must first register your CWL with Botany IT (submit your request to helpdesk@botany.ubc.ca) to enable access to the site. *Instructions for using the booking system can be found here. For inquiries regarding equipment loans not covered under the departmental booking system, please email us or visit us in person. 2203 12 Seats Large screen TV with VGA and HDMI inputs, glass wall as whiteboard, network access. 1318 16 Seats Large screen TV with VGA and HDMI input, network, video conferencing system. If you like to book a video conference session, please contact Botany IT at helpdesk@botany.ubc.ca. There are three vehicles available for booking (the old big Suburban is not available anymore as of September 25, 2015). You may retrieve the keys from the Botany main office. Please remember to refuel after using a vehicle so that no one unexpectedly runs out of gas on the next trip. The gas card may be found together with the vehicle key. You must send the gas receipts to the Botany finance office. Paper based vehicle booking forms are no longer available. Instead, you must complete an online reservation form. Please take note of the “odometer out” and “odometer in” values when using a vehicle. You will need to modify your reservation form after to fill in those numbers. A diagram for the parking stall location is available HERE. Please contact the Botany finance office for the current vehicle rental costs. Ford F-150 Pickup 2 passengers plus driver. 1999 Ford F-150 Pickup. License # 521 9DB. 205 hp 4.2 liter v6 engine. 4 speed automatic w/OD. 3 passenger capacity. 4×8 cargo bar. Chevrolet Uplander 6 passengers plus driver 2005 Chevrolet Uplander. License # 125 BRE. 200 hp 3.5 liter V6 engine. 4 speed automatic w/OD. 7 passenger capacity. Dodge Caravan 6 passengers plus driver 2005 Dodge Caravan. License # 086 BRE. Four-cylinder 150 hp, 2.4 liter engine. 4 speed automatic w/OD. 7 -passenger capacity with back seat foldable/removable. Note: You must contact Botany IT to sign out the MacBook Pro or camcorder. To obtain other IT equipment, please contact the Botany main office. If you are using your own laptop, you may require an adapter to connect to the meeting room projectors. The adapters can be obtained through Botany IT. Contact Botany IT at helpdesk@botany.ubc.ca to arrange for this. Digital Camcorder Canon VIXIA HF R30 Camcorder (Dolica ST-300 57" tripod, podium stand are available on request) Please obtain this item through Botany IT, Room 1322, Biological Science Building.